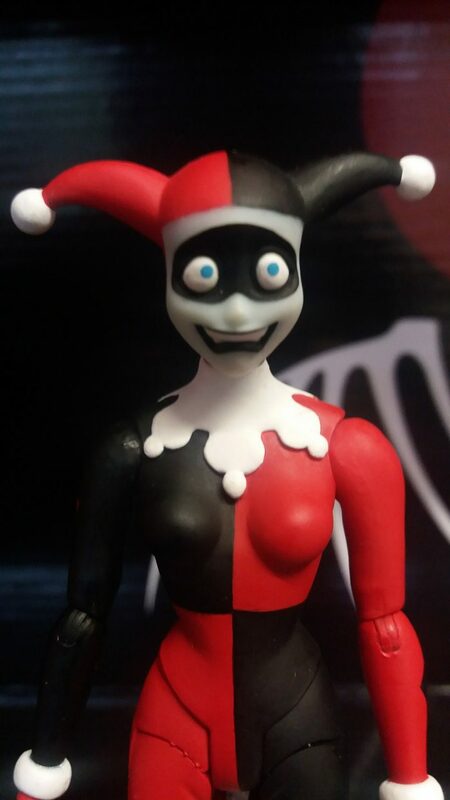 Joker’s Partner-in-crime gets an expression pack of her own! 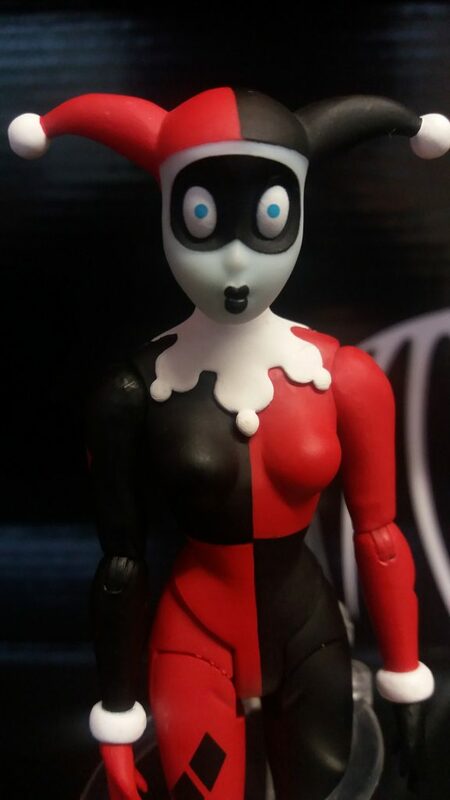 Note: We were given this BtAS Harley Quinn Expression Pack to review for the site. Our opinion is our own and does not reflect the opinion of the maker, or DC Comics in any way. 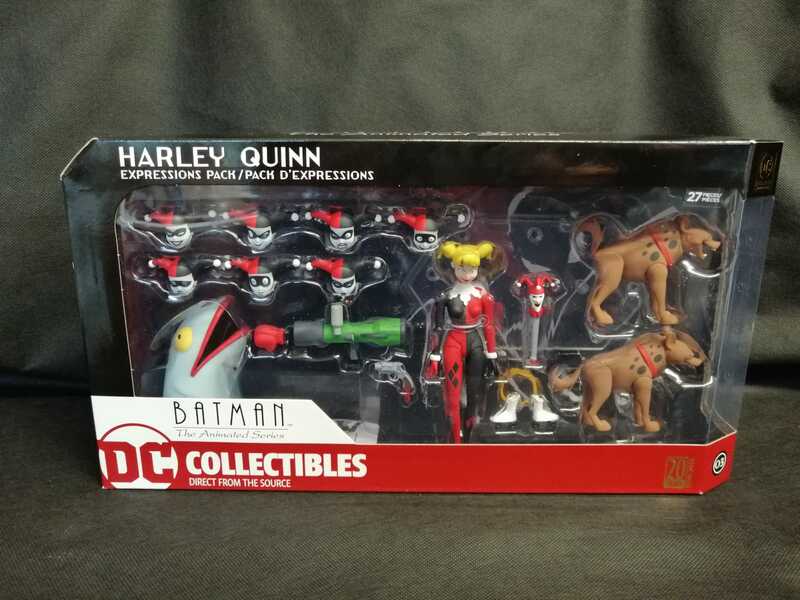 This set was provided to us by the great crew over at DC Collectibles. 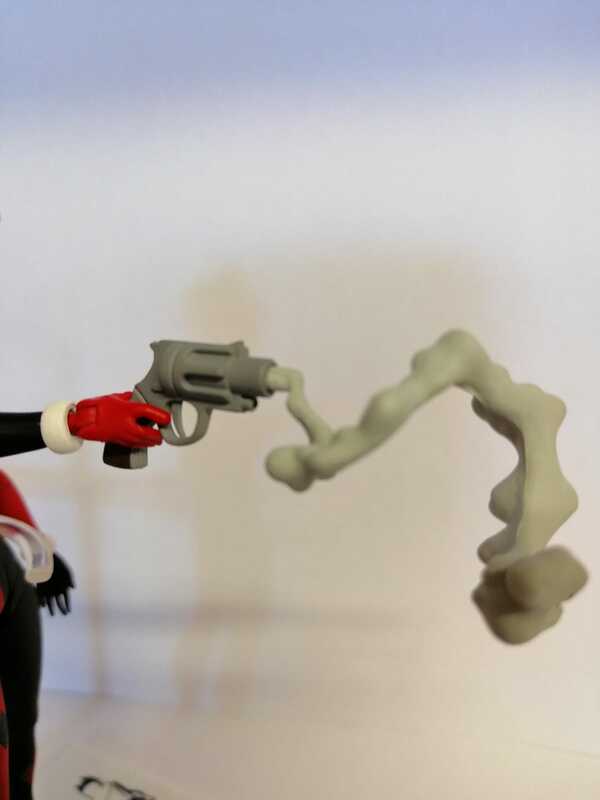 DC Collectibles have been making action figures and vehicles from the critically acclaimed Batman: The Animated Series. In the last year, DC Collectibles started releasing expression packs for the very popular characters from the series. 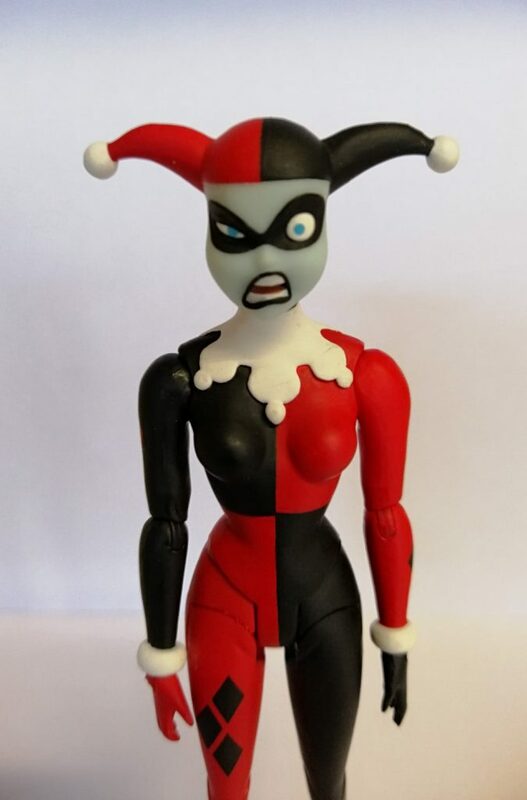 They’ve done Batman and Joker and now Harley has one. I must admit I haven’t seen the show in years but I do remember it very fondly. 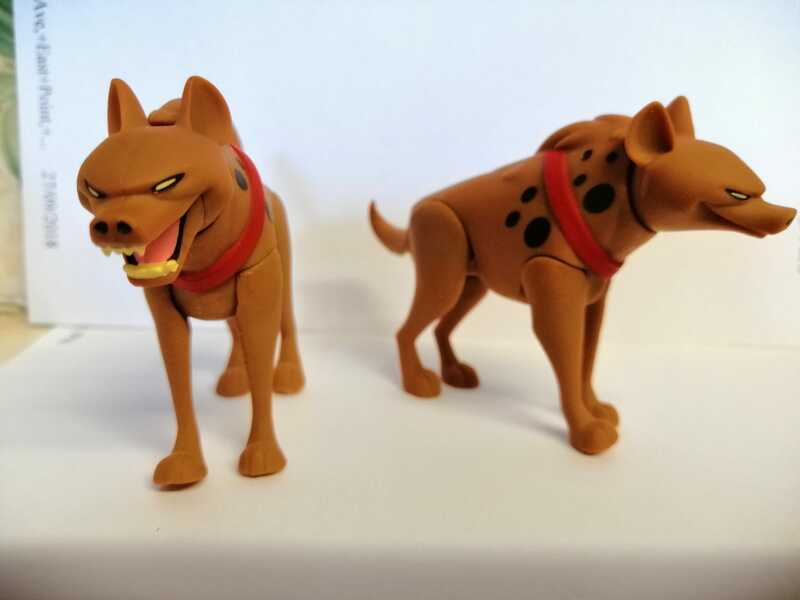 This pack is based on her appearance in the Animated Series rather than the New Adventures series. This is her iconic look as this was where she made her first appearance and is undoubtedly one of DC Comics most well-known characters. 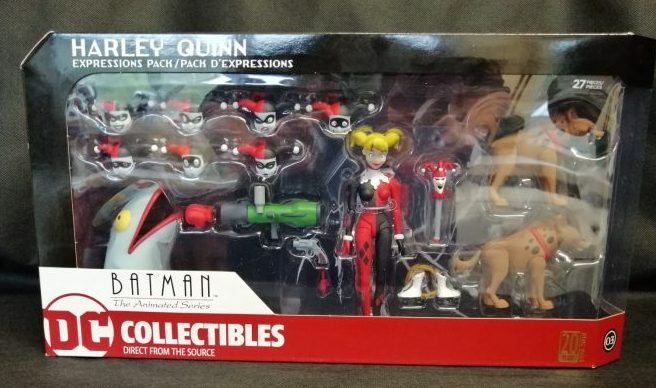 Harley Quinn comes in the same style packaging that Joker and Batman did with the figure and all her accessories clear to see in the window, with the Batman Animated Series logo on the back of the inside of the packaging. The top of the packaging has the Batman Animated Series written on the top. 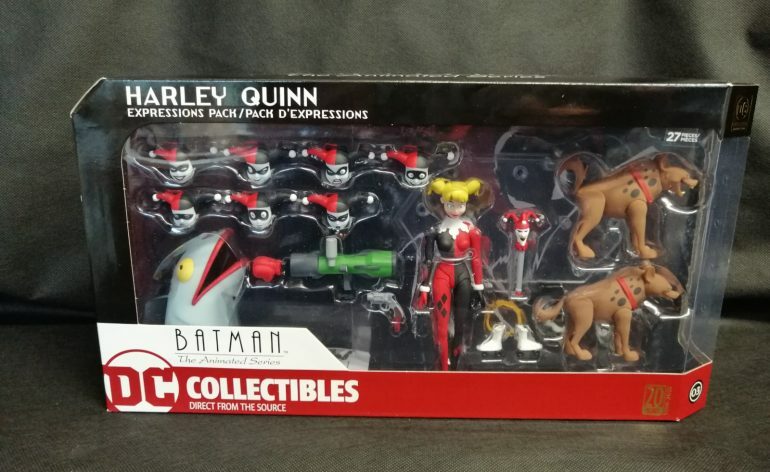 On one of the sides there’s the Animated Series logo and on the back, there’s information on what this expression pack contains as well as an advert for the Joker one. 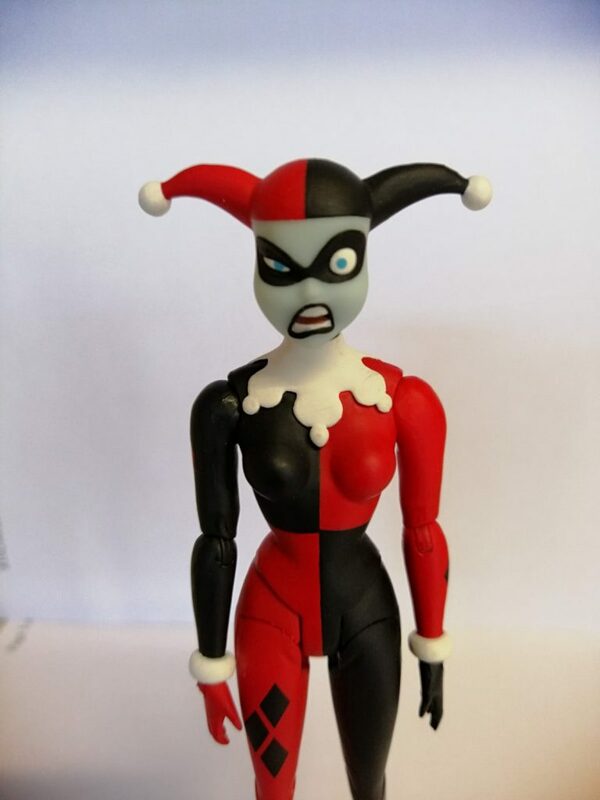 As I’m a big fan of the TV-series I have to say DC Collectibles knocked it out of the park with the sculpt of Harley Quinn and all her accessories. Everything looks like it ripped straight out of the television show. The work done by Irene Matar can’t be understated. The sculpts on the alternate heads are sublime, there’s so much life and emotion expressed in those sculpts. I really dig them, and the sculpts of her babies are fantastic as well! Harley Quinn herself looks fantastic in her classic costume with the sculpted collar and cuffs to her outfit. The paint job on the figure and all her accessories are amazing. There’s not much in the way of paint bleeding, scuffs or chips, It’s all fantastic. All her accessories are painted very well and saw no paint rub when I had Harley Quinn hold her various accessories. 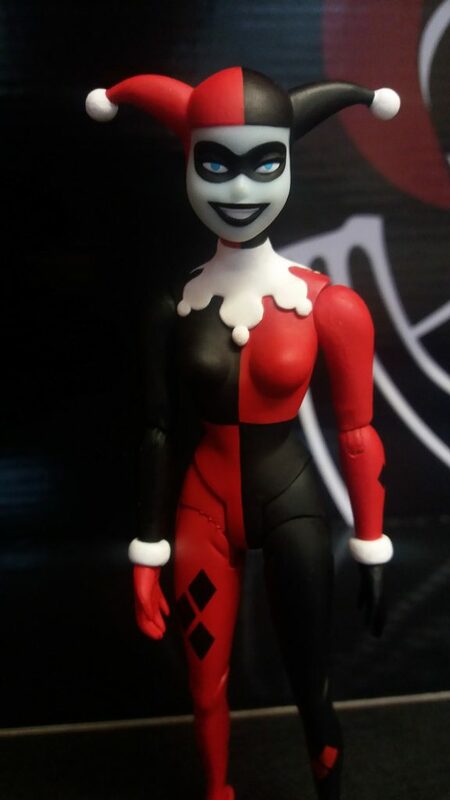 The paint on all seven of her masked heads is fantastic. In every part of it and they all look very clean. What I really love though is the slight blue hue to her makeup on the masked heads. 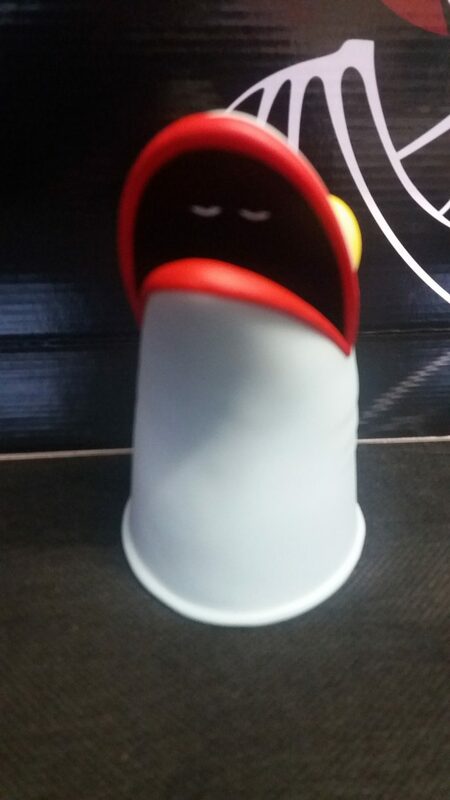 The unmasked head is fantastic as well. The only paint chipping you’ll see is when you swap out the hands as the pegs are quite small, but that’s really only a very minor gripe with this fantastic set. 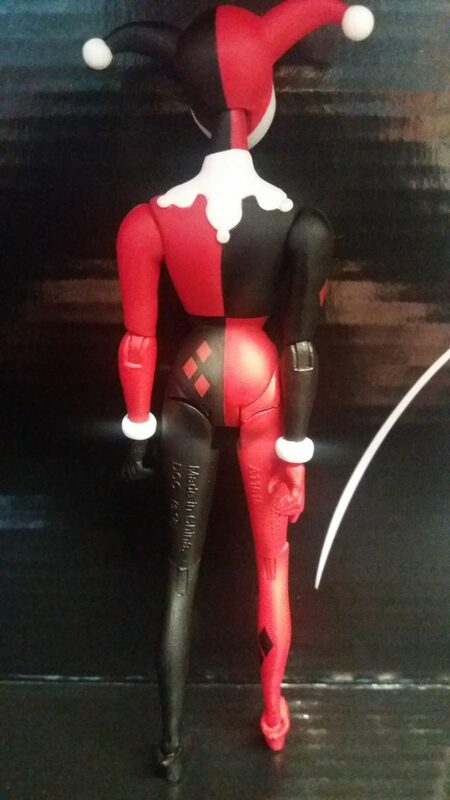 For the most part, the articulation is absolutely fantastic on Harley Quinn. 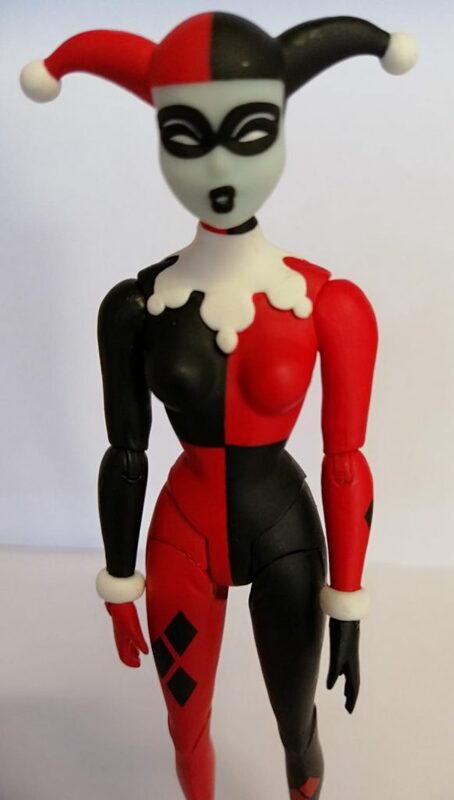 She has a ball jointed head, ball jointed shoulders and elbows, swivel hinge hands, hinge and swivel hips, single jointed knees and swivel feet. 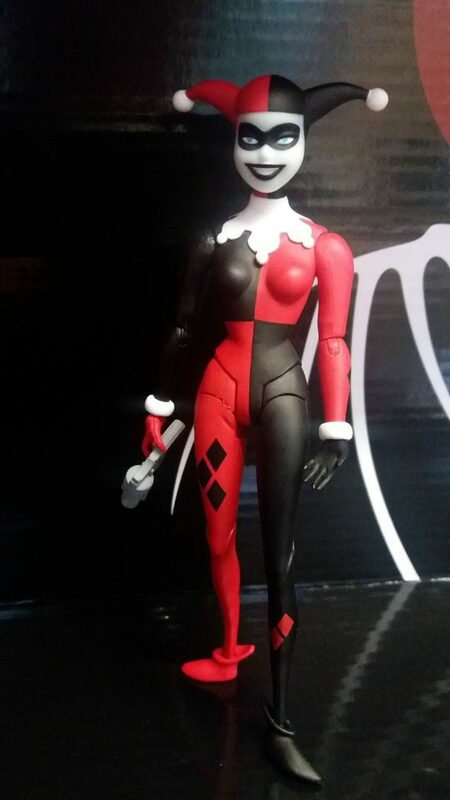 The figures articulation is very smooth aside from her ankle articulation. Because her feet are on swivels she can’t really stand all that well in certain poses which is a bit limiting. 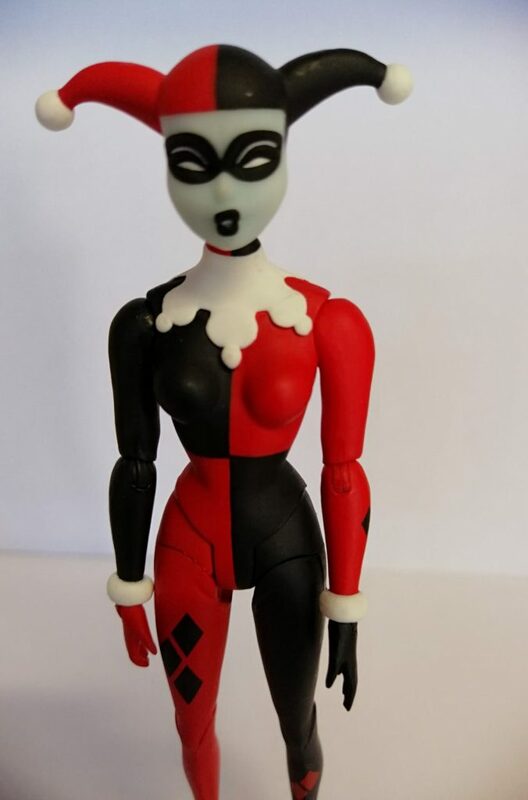 Though I can completely understand why they’ve gone with this design is because she has interchangeable feet. 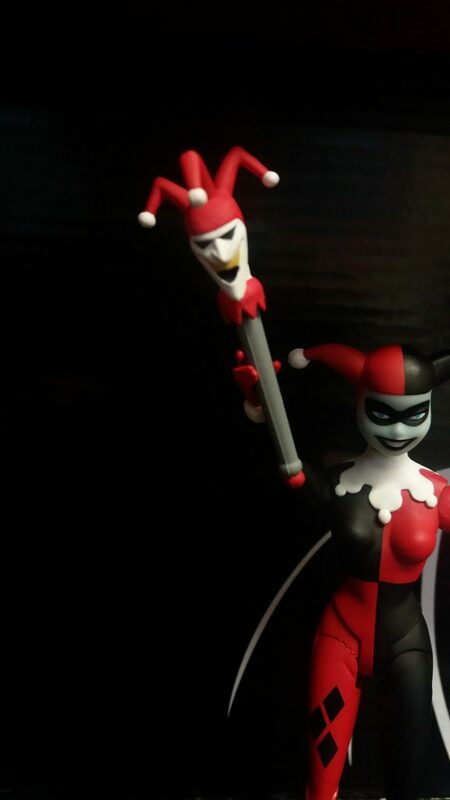 Her articulation doesn’t hinder her holding some of her accessories in certain ways, She can hold the weapons and the jester cane very well. Even her hyenas have articulation!. 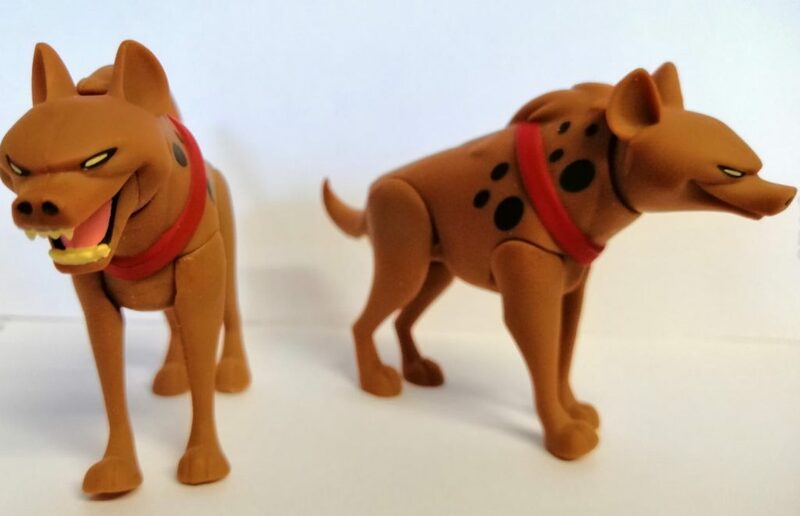 They have ball jointed heads, ball jointed tails, and swivel legs! 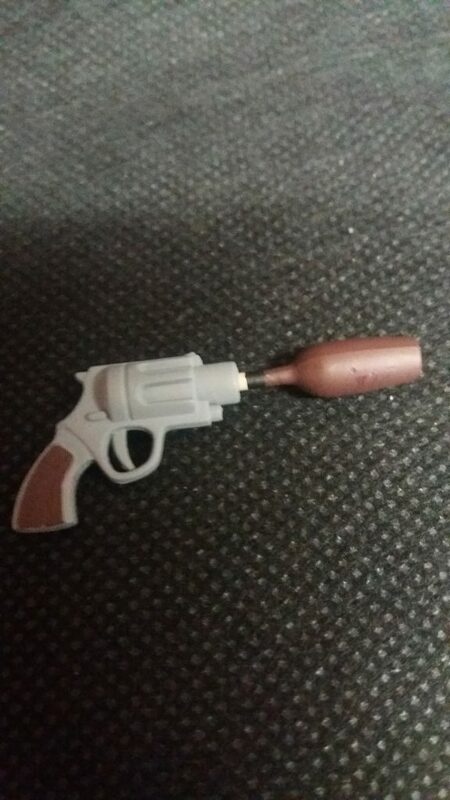 that’s something I don’t expect many toy companies to pack in articulated accessories. They are fantastic as the articulation wasn’t really required but DC Collectibles went the extra mile with them! 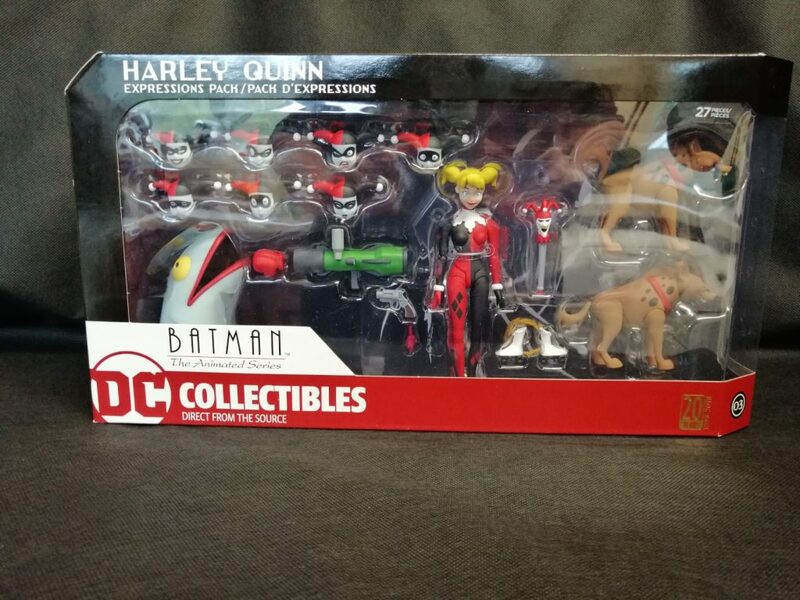 As this is an Expressions pack you would expect Harley Quinn to come with accessories and she comes with plenty. 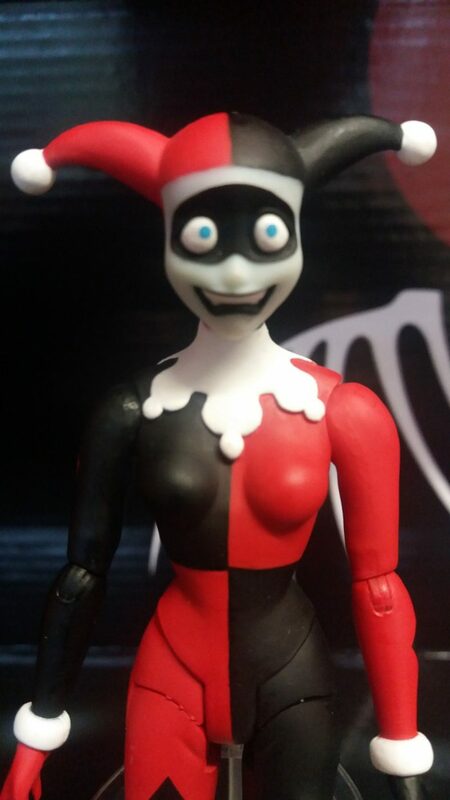 Angry, Scheming, Sad, Worried, Smile, Shocked, Smoochie and Harley Quinnzel head. Six interchangeable hands: open, gripping and fists. 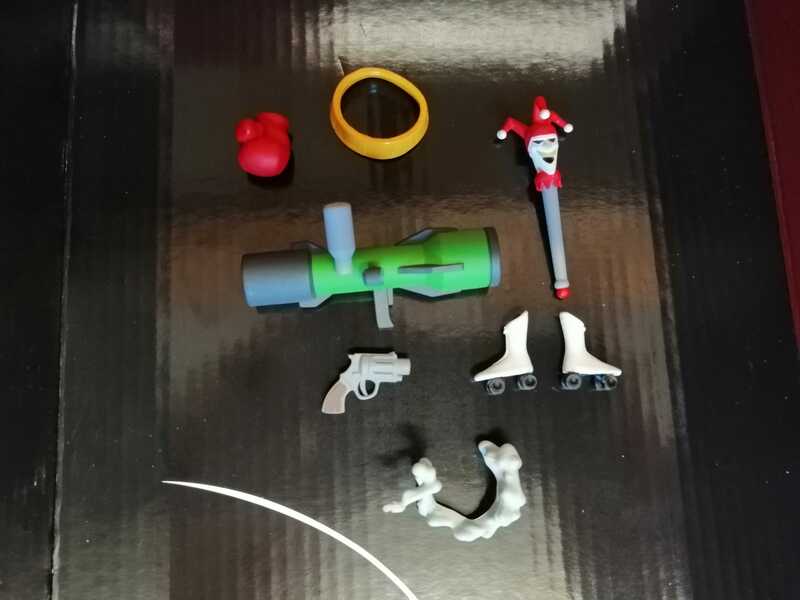 In all honesty, I haven’t seen the series in a while so I don’t recognize all the accessories. The heads are very easy to change over as they just pop off her ball jointed neck. The roller skates just pop on to the pegs on her feet once you remove her normal feet, I should add the wheels don’t move on them, they are just sculpted. 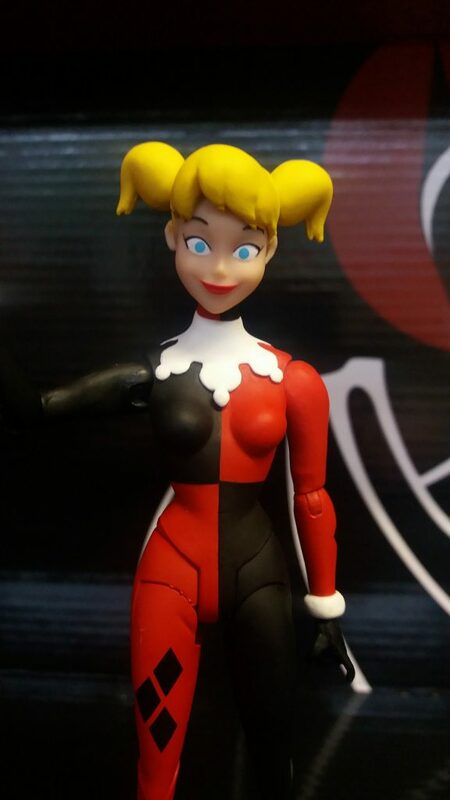 The fish head fits Harley Quinn really well, you just have to remove the head to put it on. 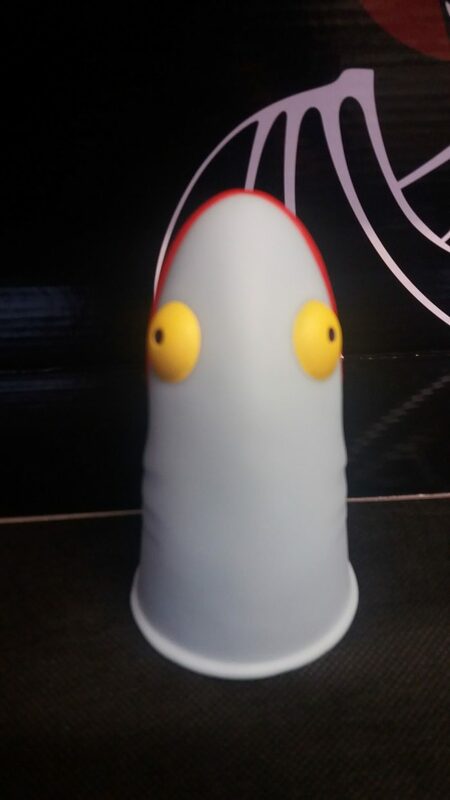 But I did have some trouble posing her with it on, but if you use a stand it’ll look fantastic. I really like the eyes in the head it shows Harley is not too pleased having to wear a joke fish head. The utility belt is very easy to slip on and off and the weapon attachment parts work very well and don’t slip off too easily. The Dynamic stand works very well and is a must-have for this set. I honestly can’t think of anything else that can be included with this set to make it any better. 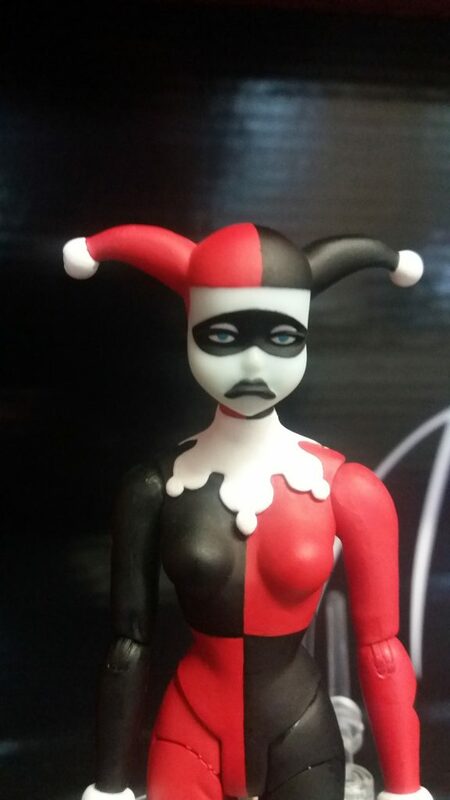 The sculpt and paint on all of her accessories are very accurate to the show and I could not be happier with them. Overall I am really really impressed with this set. I only have one minor gripe with it, the limited ankle articulation. Though I can understand why they did that. Everything else about this figure is absolutely perfect. The sculpt, paint and accessories are amazing. Of course growing up watching the show, makes this set hit that nostalgic sweet spot. Never did I think we’ll be getting figures like these 2o-some years after the show aired. I really do love this set as it’s absolutely fantastic and nearly flawless and I would love to get more of these expression packs and I hope some new ones in the pipeline. 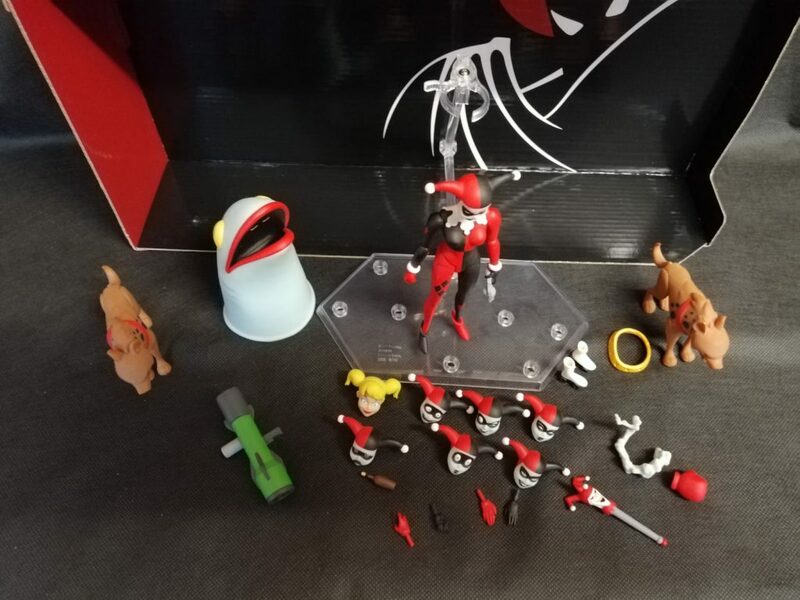 This is an excellent set with a fantastic figure and some amazing accessories. Despite the minor gripe with her ankle articulation, this is a brilliant set! Highly recommended.